Likely half of the people reading this blog strolled around a mall in Toronto in the past week. The ever pressing question then must have arose, “Where is that store!” It most certainly has happened to us at MyMedia and we are thoroughly underwhelmed by how helpful your standard mall directory is. The strongest analogy our team could devise was that mall directories are like phonebooks; still there but never used. With this problem comes need for solution and MyMedia has thought of a few ways we can help Canadian retail outlets make their communication standout. 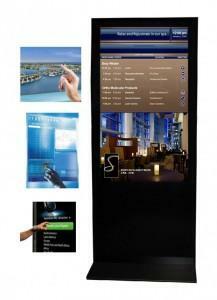 The first choice is touch screen kiosks. Slimmer, more visually stunning, and interactive, these kiosks can show a list of all the stores in the mall, what their phone number is, and give instructions on how to get there from the shopper’s current location. Touch screen kiosks are definitely more effective than searching for a store amongst a directory of hundreds. the shopper. All on one sheet of acrylic standing in specially chosen; high traffic areas of the mall. In comparison to the phonebook-like directories still in shopping centres across North America, this method is a huge breath of modernity into an outdated system. With the retail environment in Canada constantly evolving, customer facing improvements create the most immediate improvements to the shopping experience. MyMedia believes strongly in how displaying information in different ways can greatly improve this experience. It won’t be long now before mall directories (and phonebooks) will be a way of the past.